Effective new working practices (encouraged by choosing the right furniture and seating) can increase working efficiency by 41%. 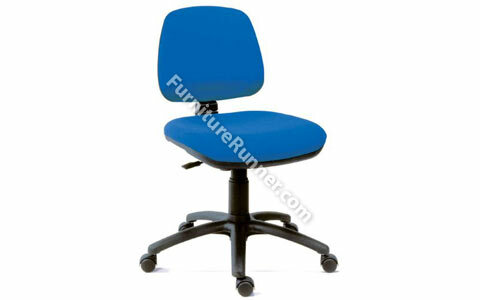 Medium back operator chair with gas seat height adjustment and hinged tilt backrest. Accepts optional armrests. N.B. not suitable for heavy duty commercial use. • Secretarial typist chair • Swivel seat and backrest with hinged tilt • Generous seat size• Gas lift seat height adjustment • Durable 5 star base with twin wheel castors • Accepts optional armrests • Requires easy self assembly.